Blog: How many Virginians Does it Take to Screw-up a Light Bulb Phase-Out? In January, Congress, through overwhelming bipartisan cooperation, approved, and President Obama signed into law, a $1.1 trillion omnibus spending bill; a provision of which precludes the U.S. Department of Energy (“DOE”) from spending allocated funds to enforce twilight measures of a “light bulb phase-out” mandated by the 2007 Energy Independence and Security Act (“EISA”). The phase-out, which effectively began in January 2012, requires that light bulbs produce a certain level of brightness at specified energy levels. Of particular significance to the average consumer, traditional incandescent light bulbs are incapable of fulfilling the new energy efficiency standards and as of January 1, 2014 60- and 40-watt incandescent light bulbs (which represent half of the consumer light bulb market) are no longer allowed to be manufactured or imported into the U.S. Overall, the standards set forth by the EISA are predicted to result in annual electric bill savings of nearly $13-billion, power savings equivalent to the output of 30 large power plants, and will reduce carbon dioxide emissions by about 100 million tons per year. The spending bill’s ban is not particularly formidable from the perspective of many environmentalists and “pro phase-out” light bulb manufacturers who have characterized it as a nuisance that can’t possibly derail the “market shift” toward more energy-efficient light bulbs. But should we be more supportive of the spending bill’s ban despite the EISA’s potential environmental benefits? In support of the ban, House Republicans have stated that EISA phase-out requirements are characteristic of government overreach, and enforcement measures should not be tolerated. Is there any merit to the House Republicans’ argument? Is federal product regulation really the proper avenue for catalyzing change in consumer power consumption? The tension at the heart of the light bulb phase-out is representative of a fundamental issue that must be addressed in any discussion of “where” energy regulations should be focused. I tend to agree with House Republicans who are wary of the government’s reach into consumer purchasing power, but perhaps end-user regulation (“downstream”) is the most parsimonious way of realizing change in energy use and accompanying (upstream) emissions. Upstream regulation is inescapably difficult. State and federal regulation of power plants and their emissions is tedious work, often drawn out interminably by litigation. But then again, why not increasingly regulate power plants themselves if we are operating under the guise that the end goal is to limit carbon emissions and power plant out-put? It’s not as though the light bulbs are the source of poor energy management decisions or egregious carbon emissions. Understanding why the EISA, in large part, came to be makes the decision to regulate downstream consumer choice even less palatable. While the EISA does not outrightly proscribe the manufacture or importation of all incandescent light bulbs, it has the net effect of increasing market prevalence and selection of more expensive, compact fluorescent light bulbs (“CFLs”) and light emitting diodes (“LEDs”) which is extremely beneficial to major light bulb manufacturers. As Timothy Carey of the Washington Examiner details, the 2007 Energy Independence and Security Act “wasn’t a case of an industry getting on board with an inevitable regulation in order to tweak it. 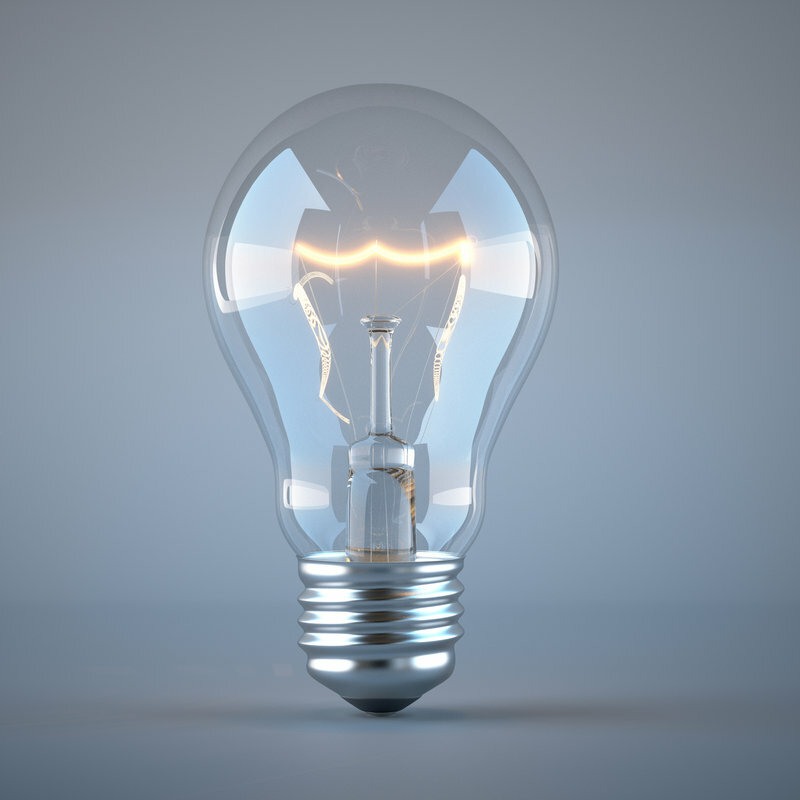 The lighting industry was the main reason the legislation was moving.” The light bulb industry is, by its nature, a competitive market with no significant impediments to entry. Characteristic of such competitive markets, under the neoclassical economic model, is product pricing at marginal cost – the cost of producing one additional unit of output- which results in low profit margins. GE, Phillips and Sylvania, which dominate the U.S. incandescent light bulb market, want to “convert their dominance into price hikes,” but because market entry is not significantly encumbered by manufacturing or regulatory costs, consumers will gladly purchase new alternative brands that offer bulbs at, or close to, marginal cost. Market giants, with significant capital available for research and development programs, sought to extinguish the threat of competition (which keeps profit margins low) by expending significant money to improve the incandescent light bulb, primarily through advancing halogen, LED and fluorescent technologies. These “energy efficient bulbs” sell at a much higher price point compared to incandescent light bulbs, and because of this, consumer choice has remained somewhat stagnant and heavily biased toward incandescents. Light bulb manufacturers, aware that consumers won’t willingly skirt cost benefit considerations in light bulb selection, have thus collaborated with groups like the NRDC in lobbying for the phase out of incandescents; their agenda being the “push” of profitable products rather than environmental conservancy. Undoubtedly, there are great advantages to newer bulb technologies, as well as associated costs. However, it’s extremely hard to justify the handcuffing of consumer freedom of choice when it is being instituted by government elites and unelected bureaucrats. All in all, it is extremely important to ask, where (or at what phase) should regulatory efforts be focused (and why)? The upstream power plants, downstream consumers, or both? Perhaps the fact that light bulb manufacturers are sustaining windfall profits from federal regulation is an inevitable consequence; in any regulatory effort there will always be a party that benefits, perhaps grossly, from regulation. It will be interesting to see what happens to the spending bill’s ban in the coming months, and whether or not downstream regulation will accomplish its goals. Bill Chappell, Obama Signs Trillion-Dollar Spending Bill, NPR, (January 17, 2014), http://www.npr.org/blogs/thetwo-way/2014/01/17/263511534/obama-signs-trillion-dollar-federal-spending-bill. Jeremy Kaplan, Last light: Final Phaseout of Incandescent Bulbs Coming Jan. 1, FOX NEWS, (December 13, 2013), http://www.foxnews.com/tech/2013/12/13/final-phase-out-incandescent-light-bulbs-jan-1/. Patrick J. Kiger, U.S. Phase-out of Incandescent Light Bulbs Continues in 2014 with 40-, 60-Watt Varieties, NATIONAL GEOGRAPHIC, (December 31, 2013), http://energyblog.nationalgeographic.com/2013/12/31/u-s-phase-out-of-incandescent-light-bulbs-continues-in-2014-with-40-60-watt-varieties/. NRDC Fact Sheet, Shedding New Light on the U.S. Energy Efficiency Standards for Everyday Light Bulbs, NRDC, (January 2013), http://www.nrdc.org/energy/energyefficientlightbulbs/files/shedding-new-light-FS.pdf. Wendy Koch, Congress to Bar Enforcement of Light-bulb Phaseout, USA TODAY, (January 14, 2014), http://www.usatoday.com/story/news/nation/2014/01/14/coal-projects-light-bulb-rules/4476103/. NER, (January 1, 2014), http://washingtonexaminer.com/article/2541430. For a comical portrayal of the “story behind the ban” (in both the U.S. and Canada) see this crude cartoon: http://www.youtube.com/watch?v=ta2ozf_uJJ8 (a feature from infra note 15). It’s contended that new light bulb technologies are not all that “efficient” when used by the average consumer. I recommend looking at Paul Wheaton’s website for a critique of the science behind the phase-out: http://www.richsoil.com/CFL-fluorescent-light-bulbs.jsp.